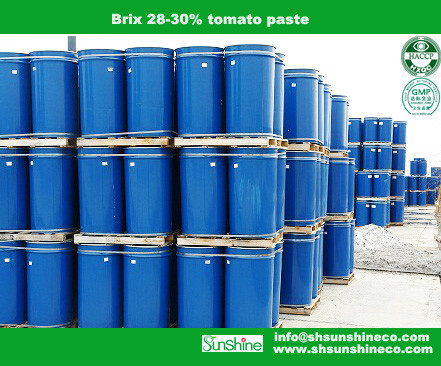 Sunshine is an advanced high-tech enterprise, which is committing itself to leading technology, high quality product, powerful customized solutions and superior service to the world’s food processor, suppliers and all other customers and the whole plants’ of machinery & engineering concerning fruit/vegetable process, juice drink/beverage/ketchup/sauce/dairy and other liquid food process from A to Z on customized turn-key solutions including advanced design, R&D, manufacturing, installation & commissioning, technical training and after-sales service. Sunshine is with great pleasure and have the ability to provide you not only machines but also the best customized solutions which are the most professional, scientific, economical and energy-saved & environment friendlywhether what you need are big scale (capacity of 5~50T/Hr) or small scale (1~5T/Hr) industrial plant as well as mini plant (200~1000kg/Hr), pilot plant (50~200kg/Hr) and laboratory equipments according to your demands and actual conditions, respecting all the time the principle of “process flow in priority, process flow serve final product, machine serve process flow” for plant design and the principle of “function improved, structure simplified, operation convenient, maintenance costs reduced, and customer profit maximized” for machine’s design, firmly under control of continuous improvement and innovation in technology and quality all the time. Sunshine is committed to the following business. Sunshine have a strong elite team of engineers & expertise which have many years’ rich field experience and all the key engineers & expertise obtained Master /Doctor degree on Food Science & Engineering or Mechanical Design & Electric Automation, and some of which have worked in GEA or Tetra Pak for a long time that brings Sunshine a lot of new ideas, which inherited and carried forward the technical strength and rich experience of Shanghai light industrial machinery group with more than 40 years’ food mechanical background, widely absorbed and integrated world advanced technology and concept thanks to the technical and business cooperation with Italian or other foreign companies such as Rossi, CFT, JBT, Alfa Laval by means of launching deep collaboration such as their agent or OEM or partner to explore domestic market together and keep a long-term cooperation with the 1st class institutes or universities in terms of technical R&D and HR sharing. In adherence to the philosophy of "Creating Value with Powerful Customized Solutions" for each customer and "Together We Grow", Sunshine is greatly willing to and sincerely hope to have a pleasant cooperation with your valued company and to contribute our rich experiences, professional technologies and skilled technicians to the implementation of your project. Company Name: Sunshine Machinery (Shanghai) Co., Ltd.